A FIFTH member of the Parojinog family has died in the hospital Wednesday, August 2, bringing the death toll in Sunday’s brutal raid to 16. An official of the Police Regional Office (PRO)-Northern Mindanao identified the family member as Daryl Parojinog, a nephew of slain Ozamiz City mayor Reynaldo "Aldong" Parojinog. Superintendent Lemuel Gonda, PRO-Northern Mindanao spokesperson, said Daryl Parojinog died from his wounds at an unnamed hospital in Ozamiz City. Gonda said Daryl was the fifth Parojinog killed after Reynaldo Parojinog Sr., the mayor’s wife Susan, and the mayor’s two siblings -- Misamis Occidental board member Octavio Parojinog and Mona Parojinog. He had been under intensive care at the hospital, Gonda said. "Confirm nga 16 na ang patay. Si Daryl ang ika-5th nga Parojinog nga namatay," he said. The police official said the cases against the 14 Parojinog supporters arrested after the raid will be heard in Ozamiz City. 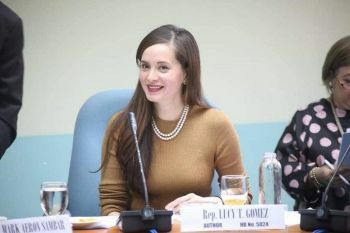 He said only the cases against Ozamiz City Vice Mayor Nova Princess Parojinog-Echavez and Reynaldo Parojinog, Jr. will be heard in Quezon City. Gonda also said the Police Regional Office has yet to receive the autopsy results of the all the fatalities conducted by the Scene of the Crime Operatives (Soco). "Dili pa ta kaingon sa cause of death sa mga Parojinog kung close range ba ang pagkaigo sa ila kay kamulo pa og imbestiga ang Soco," he said. Gonda added he has no knowledge as to the whereabouts of the alleged survivor-witness who has accused the policemen of executing the Parojinogs. The PRO-Northern Mindanao spokesperson also said policemen in the city were advised not to let their guard down and to be extra vigilant over possible retaliatory attacks from the Parojinogs'. "Apil na sa assumption, wala nato na giwala nga possibilities ang posibleng panimalos sa mga supporters busa bantay gihapon ug dapat extra careful sa security measures ang kapolisan sa Ozamis," Gonda said.